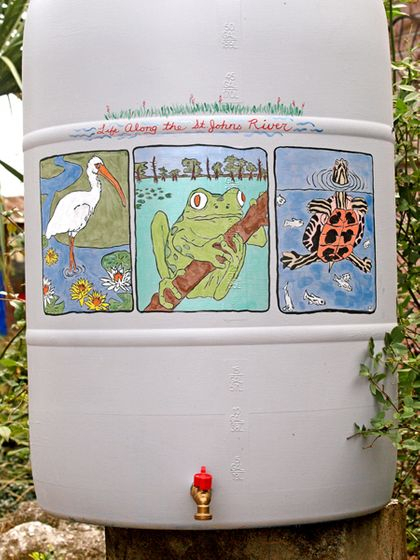 After buying and installing your rain barrel, the price for the water you capture goes down to zero. Your garden plants will love the naturally "soft" water you collect. 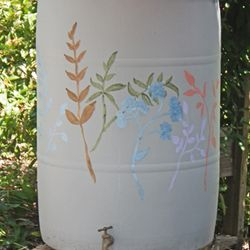 Learning to conserve our natural resources is important and harvesting rainwater is an easy step in that direction...even a short rainfall will give you plenty of H2O to use in your garden. 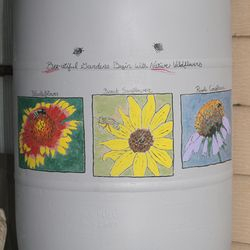 If you would like, we can install your rain barrel(s) at your home. If you need guttering, we can install that as well. Fee for installation will depend on size of job. Installation includes creating a pedastal (probably of cement blocks) for the rain barrel to sit on for access to spigot and optimal water pressure. 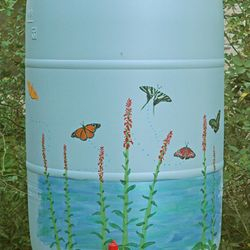 Even more water can be collected if you connect several rain barrels together with PVC pipe. 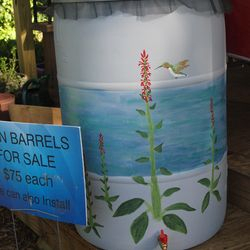 Each barrel holds about 50 gallons of water, so obviously, three can hold 150 gallons. A cistern, depending on its size, will hold hundreds of gallons. Install an in-line pump, and you can send that water anywhere in your yard. Ask us about how we can set this up for you. We'll come and take a look at what you might need to make this happen. 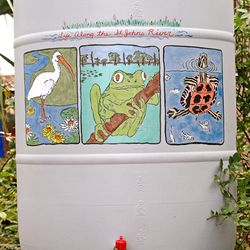 You are considering a new rain barrel because you are convinced of the benefits of harvesting rainwater for your yard. Get the most from it by using and maintaining it properly. 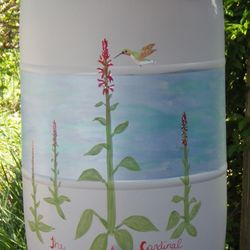 Elevating the barrel will help increase water pressure and allow easy access for a watering can. Use to water your potted plants. Site the barrel, if possible, near plants. Then, attach a soaker hose to the faucet. Plants next to a house with gutters are often to dry as rain is blocked by the house. 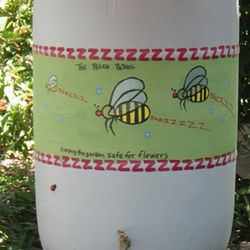 They will appreciate water from your rain barrel. Be sure to remove pressure-reducing washer from the soaker hose. 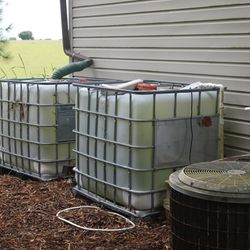 If you have compost bins, use this water to keep the compost moist. Also use to rinse off gardening tools. 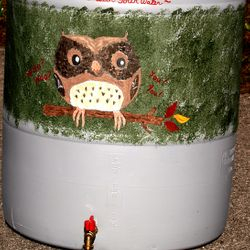 One brief rainfall will typically more than fill your rain barrel. Position barrel so that overflow is away from the house. Or add more PVC pipe to overflow to direct flow down to the ground and away. 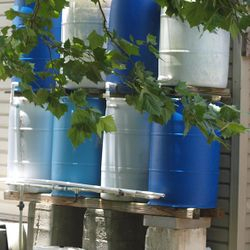 Consider hooking up multiple barrels to collect more water. Remember, harvested water is not subject to water restrictions. Your gutters will carry leaves and other debris down to your barrel. Clean off lid of barrel after each rainfall to keep holes clear. Periodically remove lid and clear algae from inside. 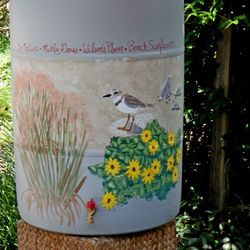 Painted and otherwise decorated barrels need a once a year application of an exterior waterproofing sealer. And if you ever need help with installation of a manufactured product, you can give us a call.